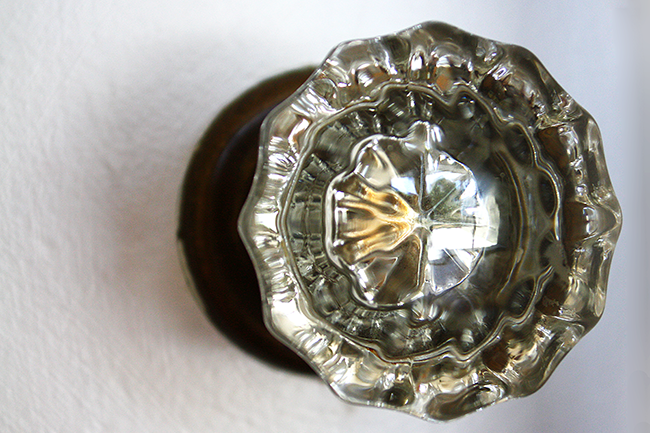 Well Now… How About These Vintage Glass Door Knobs! Yes, we are in the thick of our move. Boxes are being packed, shuttled south, and more are being packed as we go. The beauty of a progressive move is the new home has a chance to sink in before it even gets started. This works for me! And so… since we are moving into a vintage home with its tell-tale character I mentioned here, you can only imagine how thrilled I was to discover 2 doors featuring these! Why yes, our new vintage home happens to have 2 doors with their original glass knobs! How did I miss them in the viewing, the second walk-through, AND our first trip after acquiring the keys? Really?? If you’ve followed along over the years then you know how much I adore these sparkly, glam beauties from days gone by! 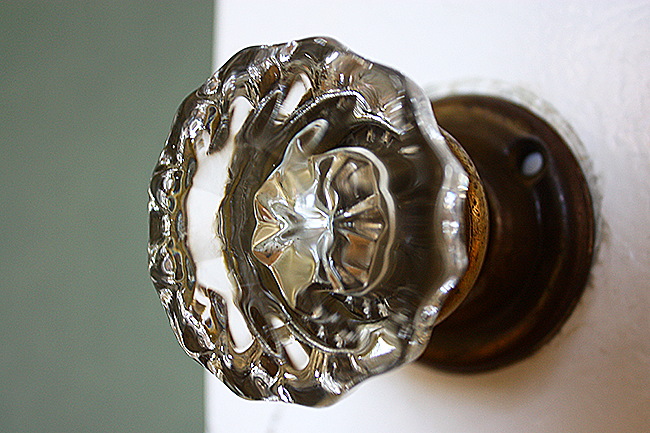 I looove vintage glass door knobs, and featured a collection of DIY ideas here. You know what the best part of this discovery is? Well, the bedroom we will be calling ours just happens to be one of the two rooms with these beautiful glass knobs! How about you? 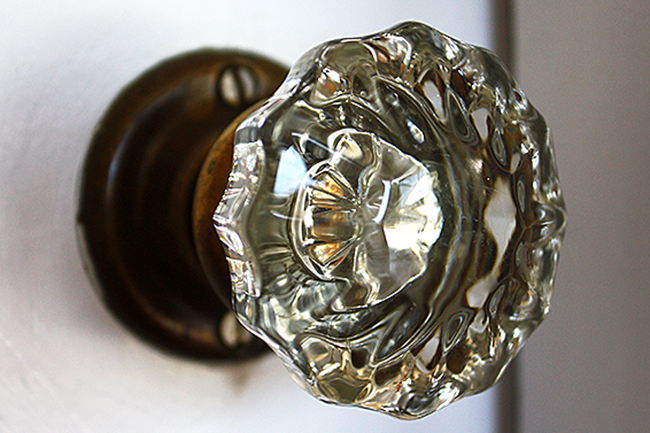 Do you love vintage glass door knobs too? Ooh, they’re gorgeous Sheila! You must be so excited. New adventure. Can’t wait to see more! Ooh I’m a sucker for beautiful hardware. You really scored with these! Good luck with your moving! Thank you Andrea! We are here for night one, and tomorrow morning I get to turn the glass knob for our very first morning! So excited!! Gorgeous Sheila!! I just love old glass knobs too and you know, there’s a place here in Victoria (out in Langford) that sells old house stuff like glass knobs, if you want more! Know where I’m talking about?? Next PostNext Empty Planters. What to Do?